Fiber is one of the most important nutrients for heart health and bowel regularity. When consumed on a regular basis, fiber can help to lower your cholesterol levels, decrease your risk for heart disease and certain cancers and prevent bowel irregularity. Unfortunately, most Americans do not consume enough fiber each day. This can lead to problems such as abdominal pain and constipation, which may require the use of fiber supplements and laxatives. FiberCon is an over the counter fiber supplement that can help to increase your fiber intake and decrease the discomfort often associated with poor fiber intake. The primary active ingredient in FiberCon caplets is calcium polycarbophil. One caplet contains 625 mg calcium polycarbophil, which is the equivalent to 500 mg polycarbophil. Unlike some fiber supplements, polycarbophil is a synthetic material designed to help absorb water into the intestines. This then helps to create a softer, more bulky stool that is more easily passed by the body. In terms of fiber content, the recommended dose of two caplets, up to four times per day, provides approximately 4 g of fiber. This makes up only 16 percent of your daily recommended fiber intake of 25 g.
Fibercon, and other bulk-forming laxatives, are used primarily for the relief of occasional constipation. According to the National Digestive Diseases Information Clearinghouse, constipation is considered having fewer than three bowel movements per week. Constipation can also be described as having hard, dry, small bowel movements that are difficult and sometimes painful to pass. Discuss your condition with a medical professional prior to starting any new medications or supplements such as FiberCon. The recommended dosage of two caplets, up to four times per day, should be taken with at least 8 oz. of water. FiberCon can safely be taken for up to three days. It may take up to three days to effectively soften stools and relive constipation. Do not take FiberCon for longer than seven days without doctor approval. When taking FiberCon always consume adequate amounts of water. At the time of dosage, water helps prevent the supplement from expanding in the throat or other parts of the body before it reaches your intestines. Water helps the supplement to safely travel through the body without causing choking. Avoid taking FiberCon along with multivitamins or other medications. 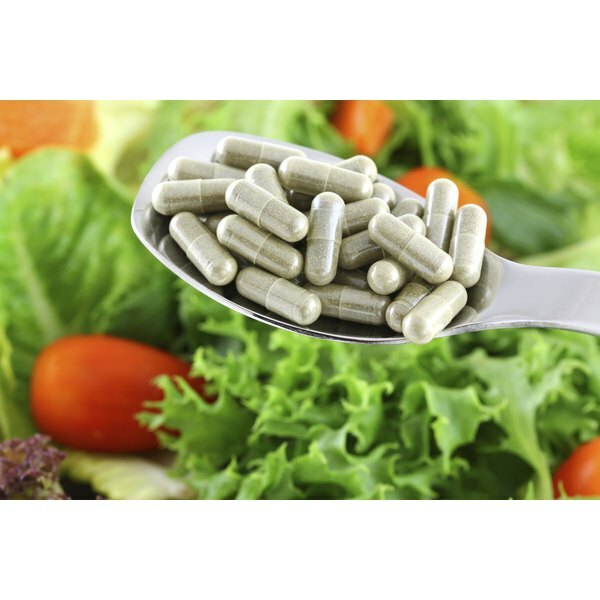 Fiber supplements can cause medications to pass through the body undigested. Some mild side effects of FiberCon include bloating, gas and mild stomach pain. This is primarily due to the sudden addition of fiber to your diet. More serious side effects include vomiting, chest pain and rectal bleeding. Seek medical attention immediately should any serious side effects occur.